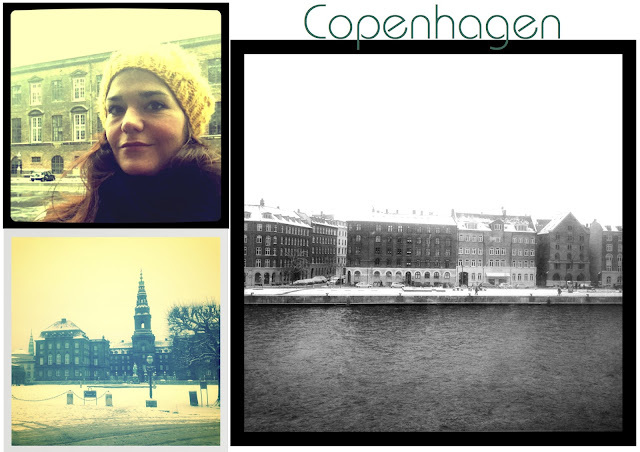 I've just come back from a lovely, cold and girly week end in Copenhagen. What a fabulous, stylish (though rather expensive) city. My friend Sarah and I walked the streets for hours, visiting many landmark sights (needless to say my fan-age of The Killing made me feel like I'd been to certain places before), eating and drinking cocktails. Saturday was gloriously sunny and bright (though very cold) and Sunday was snowing. 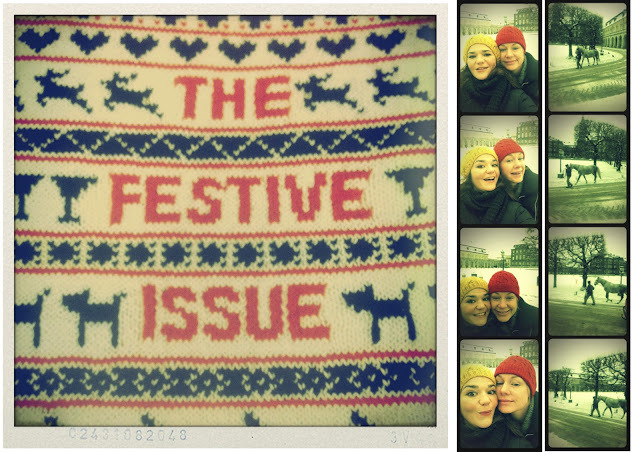 On Friday night we dined at Host which was a wonderfully Nordic eatery. Stylish in design (natural meets new), and a very interesting menu. We had the 3 course meal (special of the evening), which was an eclectic mixture of tastes (the Dinkel porridge with muscles rolled in ash, pumpkin and seeds was a favourite). Then we wondered on to a very stylish (and somewhat secretive) cocktail bar called Ruby. Set in a "hard to find" apartment-like-location. We sipped the night away drinking Sloe Margaritas and Dry Martini's. That evening we opted for Italian food at The Italian, where we ate, drank Prosecco and chatted for hours. Finished off with drinks at the Hotel Fox's bar. On Sunday, ahead of catching our flights back, we visited the Danish Centre of Architecture, where we drank tea (the most amazing tea bags I've ever seen). It snowed and Copenhagen covered in a soft white sheet is really beautiful and special.